Dawn Richard’s new single is a multi-genre party anthem. 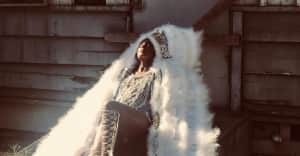 D∆WN, formerly known as Danity Kane singer Dawn Richard, is ready to party. After releasing her second solo record, BlackHeart, earlier this year, she hit the studio with producers Noisecastle III and Swagg R'Celious, and writer Ester Dean to craft the first single for her upcoming third album, The Red Era. "DANCE," which premiers on The FADER today, picks up where BlackHeart left off and it's easy to appreciate Dean's master touch on the song's hooky pre-chorus. The album's release date is still undetermined, but you can listen to the song above or on iTunes, and catch D∆WN on tour later this year.